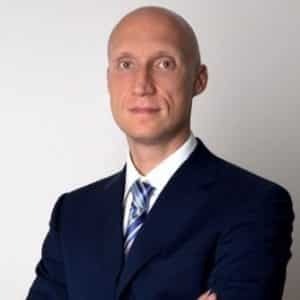 Andrey Dashin, one of the key figures in the FX industry and founder of both Alpari and FXTM, has unveiled a series of changes to both brands. The changes will see FXTM’s acting CEO, Olga Rybalkina become a minority shareholder of both Alpari and FXTM, following her experience and tenure across both companies. The FX industry has been in a state of flux over the past year, having been dictated by new regulations that have seemingly rewritten the playing field overnight. Despite these changes, the retail industry continues to show strong results, most notably in Q1 2018. Per the latest move, Mr. Dashin is looking to support the future development of both Alpari and FXTM. This includes working to help solidify the venues over the longer-term with key personnel moves. As a minority shareholder of both Alpari and FXTM, Ms. Rybalkina will be actively supporting Mr. Dashin in the strategic development of the two independent global brands. She has been a key member of the FX industry for nearly two decades. Previously, Ms. Rybalkina worked as a leading executive of Alpari, while also serving as FXTM’s inaugural CEO, a position she stepped into in 2012. Ms. Rybalkina will be relinquishing her role as CEO of FXTM in light of the new restructuring. Succeeding her will be Nicholas Defteras, who previously worked as the Deputy CEO of FXTM. In terms of Alpari, the group will also see a number of key directorship changes. This includes Vladimir Verbitskiy, a former business advisor of Andrey Dashin, who will now be succeeding Boris Shilov as Alpari’s CEO role with immediate effect. The changes at both FXTM and Alpari will look to help both brands’ future development.